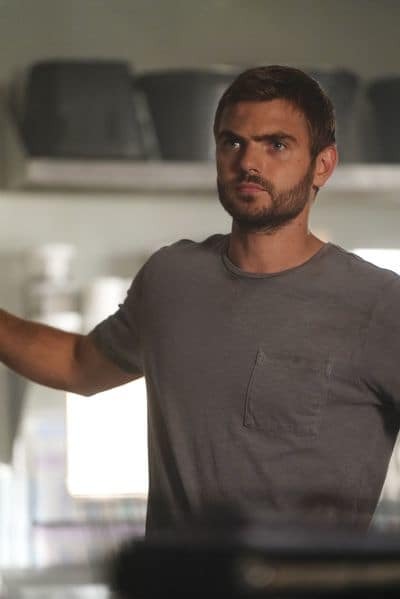 Siren: Alex Roe Talks Ben's Relationship With Ryn and Maddie & Ryn's Deal With the Military! Siren has become more than just a series about a washed-up mermaid. It's innovative, intelligent, and manages to keep the audience on their toes. 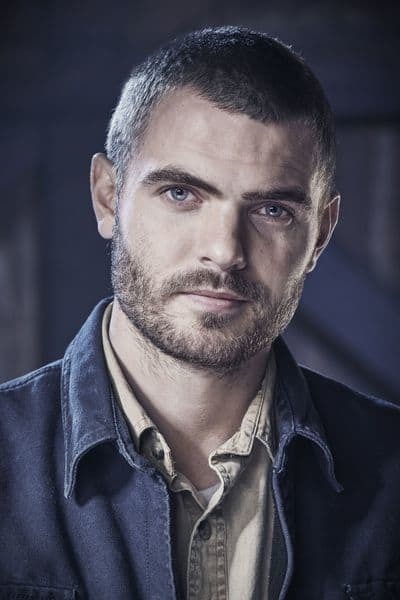 Alex Roe plays Ben Pownall, a marine biologist who discovered a creature he never expected to find. Alex took some time to talk with us right before Siren Season 2 Episode 8 aired and promised an "explosive," mid-season finale. He was right! He was also able to tell us about what's coming up for Ben and discuss his different relationship dynamics on the show. TVF: Ben is my favorite character on Siren. He's selfless and willing to put his life on the line for others. What are your thoughts on Ben and playing the character? Alex: I really like that. I think he's a defender. He's a marine biologist, and that has definitely transferred over to Ryn and the mermaids. He hates hypocrisy. And that kind of distances him from his family. He's not motivated by status which puts him at odds with his family as well. TVF: What about the relationship between Ben, Maddie, and Ryn. Is there anything you can say on that? Alex: I think the way that their relationship is is very organic. I think the first kiss was when Maddie was kind of upset, and it was like this loving connection to kind of put Maddie at ease in some way. I think Maddie and Ben are incredibly strong. They're like best friends and lovers. Related: Siren: Rena Owen on What it's Like to Play Helen & What's Still to Come on Season 2! I think adding Ryn, and both of their attractions to her is like this new interesting group. Seeing her kind of discover what it means to be human, all of that kind of stuff, I think there's a strong bond with all three of them. But the main thing is getting the mermaids back in the water. TVF: On Siren Season 2 Episode 7, Ryn basically traded herself over to the military to get Ben out of jail. How can we expect him to react to that? Alex: My personal opinion, is that when Ben finds out about that he's going to be incredibly grateful, but I think when and if he finds out about that, he's definitely going to wish that Ryn didn't do it. I think that Ben would've rather found his own way out of jail instead of her having to sacrifice herself in any way. Nicole is such a crafty one. Alex: She is super crafty! So in terms of 'how would Ben react?' I think he would be very grateful but also wish that she didn't do that. He wants to protect her, not put her in danger. TVF: What about Ben's relationship with Xander? It's been kind of rocky lately, but the last couple episodes make it seem like they're starting to become friends again. Alex: Yes. That last little look at the end of episode 7, Xander is figuring something out. Hopefully, they can somehow team up. Ultimately, they see things really different, so their relationship is always going to need work. But I think that they will know each other for a really long time. But I hope that Xander continues his suspicion on that crafty Nicole. TVF: This is actually a question that I was curious about. 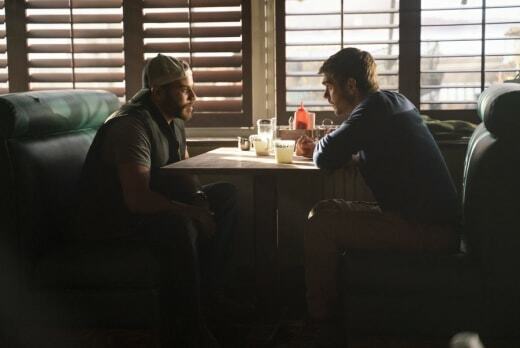 A couple of episodes ago there was a scene where Ben was teaching Ryn to drive. That was one of my personal favorites of the series. Can we expect any more funny scenes like that coming up this season? Alex: Yeah, definitely. 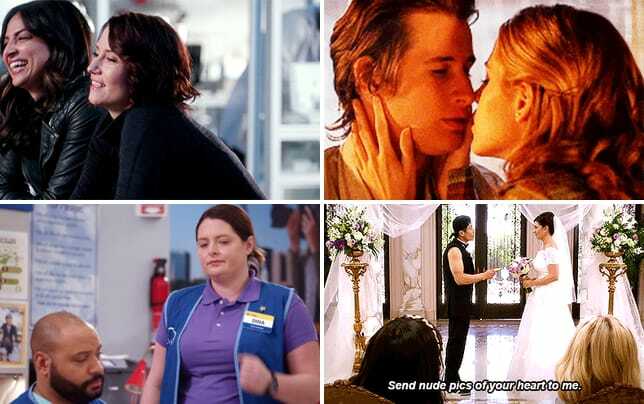 I think what's amazing about what the scriptwriters have done, Emily and Eric, is that they've definitely added a level of humor to this season. There's definitely more than Season 1, and I think that there's a dry humor to Ryn's discovering of land. It's enjoyable to Ben for sure, and I think hopefully for the audience as well. But as Ben, it's cool to kind of watch her kind of discover these things on a blank canvas and with such a level of honesty. [Ryn] is such a powerful force and powerful creature but Ben also has this level of vulnerability with her as she discovers how humans work. They'll definitely be more moments like that. I'm glad you liked that one! TVF: That was one of our favorite parts! Alex: It was so scary and funny at the same time. TVF: It looked like it! It must have been scary for Ben. Alex: Yeah, definitely. On the day it was pretty scary. TVF: Well we're all super excited to see what comes next! Alex: Thank for the support and for having Ben as your favorite character. Siren Season 2 returns in July on Freeform!